In this issue: Stories of the town that got sent back in time, the year’s best military and adventure sf, and a classic Vorkosigan novel back in print! All that plus a new contest. 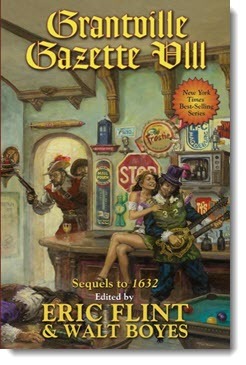 Get Grantville Gazette VIII here. The Year’s Best Military and Adventure SF series roars into its fourth year, with more stories of derring-do, military combat, and edge of your seat suspense. 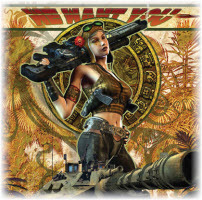 Thrilling tales of grand science fiction adventure and military action selected from the top print and digital markets, these stories are guaranteed to challenge, provoke, and entertain. Includes stories by Larry Niven, Brad R. Torgersen, Rich Larson, Martin L. Shoemaker, Tony Daniel, Kacey Ezell, Jody Lynn Nye—and an Honorverse novella by New York Times best-selling author David Weber! 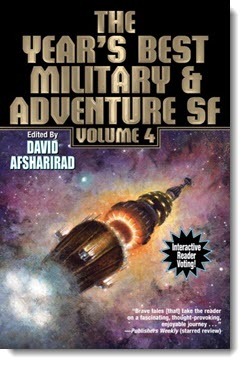 Get The Year’s Best Military and Adventure SF, Volume 4 here. 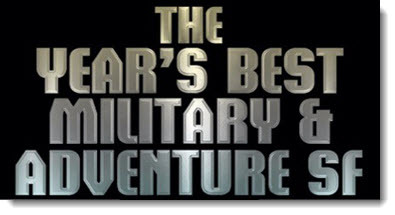 Baen Books is pleased to announce the fourth annual Year’s Best Military and Adventure Science Fiction Readers’ Choice Award. The award honors the best of the best in this grand storytelling tradition, and its winner will receive an inscribed plaque and a $500 prize. And YOU are the judge! Choose your favorite story from the contents of The Year’s Best Military and Adventure SF, Volume 4 and reward its author for excellence. 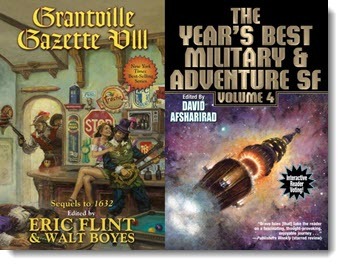 This month we’ve got two great anthologies hitting bookstore shelves, Grantville Gazette VIII and The Year’s Best Military and Adventure SF, Volume 4. Now, we love sinking our teeth into a big ol’ novel as much as the next person, but we also like short stories that pack a punch—and we know our readers do too. So, to make it easy, we’re conducting a random drawing. 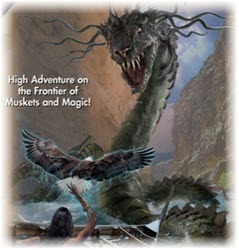 Simply email contest@baen.com with your name for a chance to win both anthologies, signed by their respective editors. Last month we asked you to tell us which explorers from world history you would like to see reimagined in a fantasy setting and how might things play out? Congrats to Chad Sipe! He wins a copy of Uncharted, signed by Kevin J. Anderson and Sarah A. Hoyt. You can read his winning entry here. 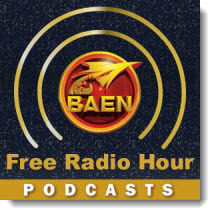 Coming soon to the Baen Free Radio Hour: Baen author spouses discuss life with and the endearing quirks of their creative counterparts. Roundtable includes Sharon Rice-Weber (David Weber, sp. ), Bridget Correia (Larry Correia, sp. ), Dan Hoyt (Sarah A. Hoyt, sp. ), Maggie Nowakowska (Susan R. Matthews, sp. ), Mona Pinette (Brendan DuBois, sp. ), and Emily Buter (D.J. Butler, sp.). Plus the editor and authors from The Year’s Best Military and Adventure SF, Volume 4, talk about this year’s outstanding collection. Missed past episodes? No problem. We’ve got every episode archived for your listening pleasure. Ghosts can be caught, and bottled, and sold. When a young boy accidentally inhales the ghost of Thomas Edison, he finds that all the factions of Los Angeles’ occult underground are after him, determined to kill him and get Edison’s powerful ghost for themselves! The Year’s Best Military and Adventure SF series roars into its fourth year, with more stories of derring-do, military combat, and edge of your seat suspense. Includes stories by Larry Niven, Brad R. Torgersen, Tony Daniel, Kacey Ezell, Jody Lynn Nye—and an Honorverse novella by New York Times best-selling author David Weber! Don't forget to check out the newest ebook releases here. Plus, a new short story “Ghost Flotilla U-Boats: Embarkation” by Susan R. Matthews here. And read this month’s nonfiction essay, “Character of the Female Warrior: an FAQ” by Kacey Ezell and Jennifer Whetstone here.